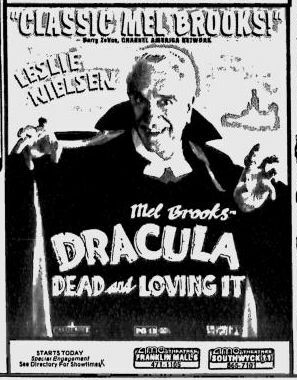 Dracula: Dead and Loving It is a 1995 Dracula spoof by Mel Brooks starring Leslie Nielsen. It, unfortunately, is not as successful in it’s merry making as Brooks’ earlier Young Frankenstein. And here are some awesome vintage Dracula posters from one of my favorite movie poster websites Wrong Side of the Art. Here’s one of the many posters for the 1931 Universal Dracula movie. 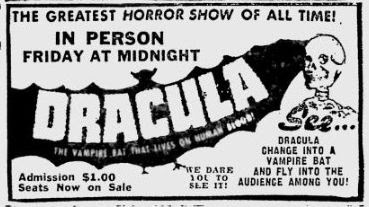 This is an entertaining poster for the movie Dracula and Son. This was a French spoof of the Hammer Dracula movies. It even starred Christopher Lee as Dracula. Dracula vs Frankenstein from 1971. This movie was Lon Chaney’s final appearance. Chaney was the only actor to play the Wolf Man in all of the classic monster movies. I literally just discovered this movie today. 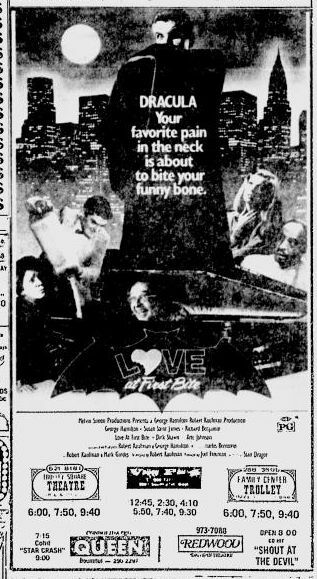 From 1974, it’s a Dracula spoof starring David Niven. I love that they riffed off the Young Frankenstein title. Check out the trailer. It’s narrated by Wolfman Jack. How awesome is that? I have to see this movie. 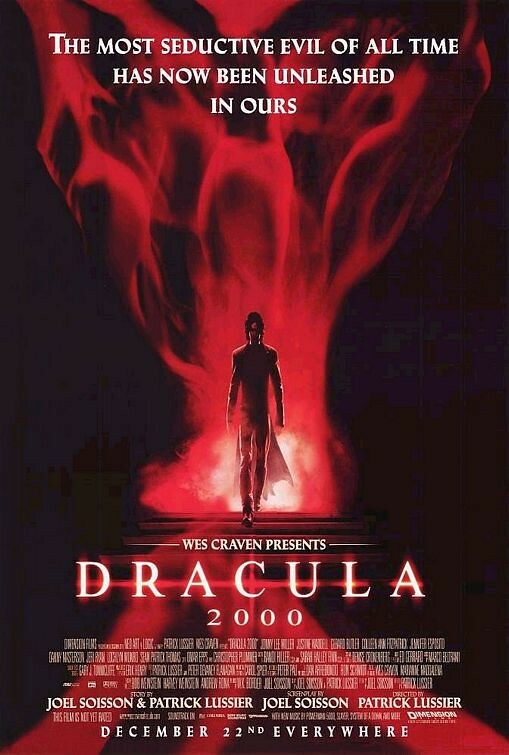 This is a poster for Wes Craven’s take on the Dracula tale. Gerard Butler, in one of his earliest roles, played Dracula. Christopher Plummer played Van Helsing. This entry was posted on October 21, 2011 at 9:00 am and is filed under advertising, Dracula, monsters, movies, pop culture, vampires with tags advertising, AWESOME-tober-fest, Dracula, Halloween, holiday, monsters, movies, pop culture, vampires. You can follow any responses to this entry through the RSS 2.0 feed. You can skip to the end and leave a response. Pinging is currently not allowed. Yeah, Brian, I did. It was so bad I actually stopped watching it about 20 minutes in. It’s not good. Not even “so bad it’s good”. It’s just f**king terrible.